The difference between tech insiders and the hoi polloi is that the tech insiders make their real money long before a company goes public. This is especially true of the so-called unicorns – those tech companies with pre-IPO valuations of $1bn or more. The insiders invest when the company is still in its early stages, while it’s raising money to build a business the public markets will one day embrace. Carl Icahn is a pretty good example of this: He put $100m into Lyft in 2015 and added an additional $50m later on. Four years later, just before Lyft went public, he sold his stake to George Soros for somewhere around $500m. Nice work if you can get it. The hundreds of thousands of drivers who have made Uber’s success possible hardly qualify as tech insiders, of course. For those who try to make a living driving for Uber, it’s no easy task. Most estimates indicate that Uber drivers make less than someone working at McDonald’s. Uber’s economics just don’t work if the drivers make real money. Uber (and Lyft) have also strenuously maintained that their drivers are not employees but rather outside contractors who are free to drive, or not drive, whenever they please. 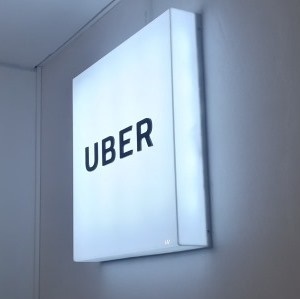 Employees – like the ones at Uber headquarters in San Francisco – get benefits like a health-care plan and a matching 401(k). Contractors get … none of the above. According to the New York Times, the drivers aren’t eligible for stock grants because they are independent contractors. So instead Lyft decided to give any driver who had completed more than 10 000 rides the opportunity to buy the stock at the IPO price. To which the only response is: Are you kidding? A driver would have to make 64 rides a week for three years to get to 10 000 rides. Now comes Uber. In the S-1 it filed Thursday with the Securities and Exchange Commission it vowed to put aside shares for any driver who had completed 2 500 trips and had made at least one trip in 2019. (If you’re doing the math, that’s a much saner 24 rides per week over two years.) Drivers who met those requirements would be eligible to buy Uber stock at the IPO price. There is no reason Lyft and Uber couldn’t have done the same for their drivers. Independent contractors – outside lawyers, for instance – sometimes get stock options instead of fees. Allowing the drivers to share in the IPO is a nice gesture. Really it is. Allowing them to share in the pre-IPO riches – and making it easy and affordable for them to do so – would have been a lot better. But I guess that’s still reserved for Carl Icahn and his ilk.